After an attack in Syria, U.S. Ambassador Chris Williams (CHRISTOPHER COUSINS) needs a new heart. When medical student Jones (GEORGE LOOMIS) meets Chris’s wife (NATALIJA NOGULICH) and discovers the family is broken by the embassy attack, he disregards strict policies of his boss (VIVICA A. 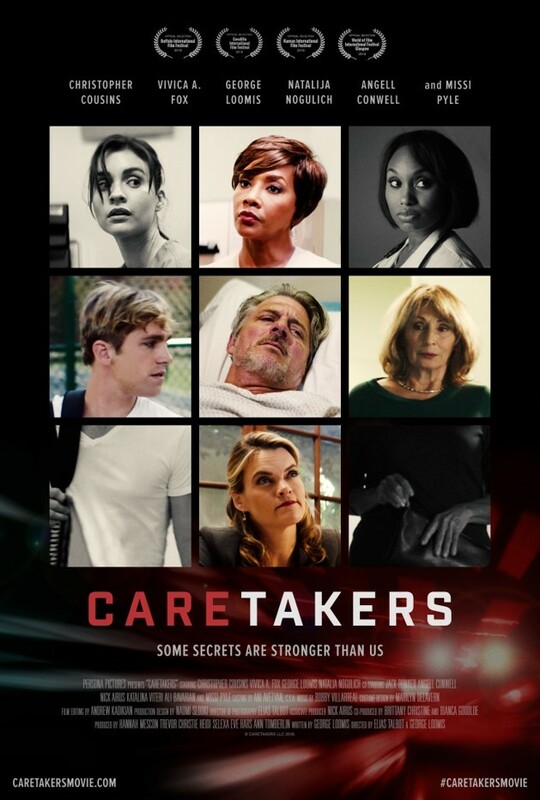 FOX) – and the Williams’ advisor, Carrie (MISSI PYLE) – to hatch a plan to save his patient. World premiere at Cannes Film Festival 2018 and winner Best Feature Film-First Time Director at the Queen Palm International Film Festival and California Film Award Winner for Best Actor: Christopher Cousins. The story itself began with a friend asking me if I ever thought I could tell a crime story. I shrugged it off because it wasn’t my natural disposition. But from an unexpected place, I began to see the opening scene. I didn’t know who the characters were, but I knew where it took place – this very specific creekbed, back home in Texas, where friends and I would run around when we were young. Since the setting was so vivid for me, what came next was finding the cast to play the characters. I turned to a mutual acquaintance, Tommy O’Brien, for the lead role of Ross. His past work wasn’t anything like this material, but I just had a gut feeling about him. Grateful that I wasn’t wrong. His performance throughout but particularly the tenderness of the final scene still moves me – all credit to him. He made it alive.